Arthritis hypnosis can help arthritic pain can really affect the quality of a person’s life as you will have experienced already. Whatever type of arthritis you have, whether that is osteo arthritis, rheumatoid arthritis or gout, the constant and nagging aches and pains can get in the way of living. The mind can play a signficant part in improving your quality of life by reducing the arthritic discomfort and pain you experience. 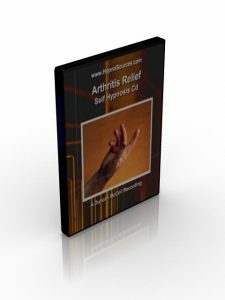 This “Arthritis Relief” mp3 hypnosis download or self hypnosis cd can help you take control and help your joints to move more easily and freely. Want To Release Your Arthritic Pain?